Being fancy doesn’t exactly mean you have to be extravagant and bedazzling. Most of the time, it means you just have to exude class and elegance despite having simple elements. The same thing can also be said for the menu. 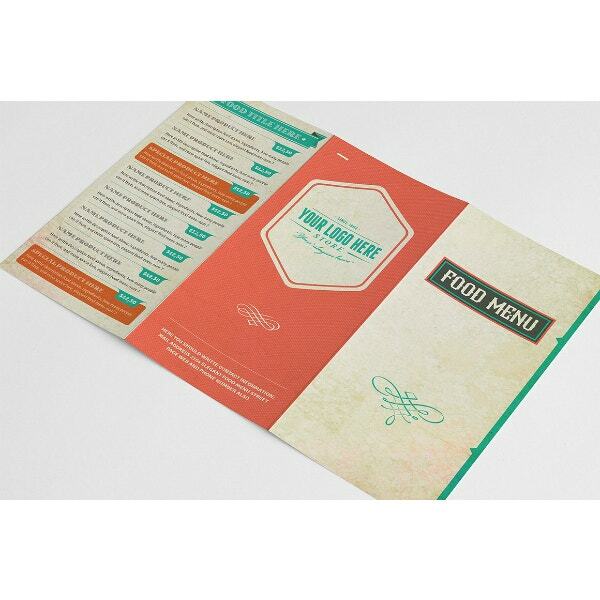 In a menu, a minimal design is enough as long as it complements well with the theme of your restaurant and it makes the information readable. 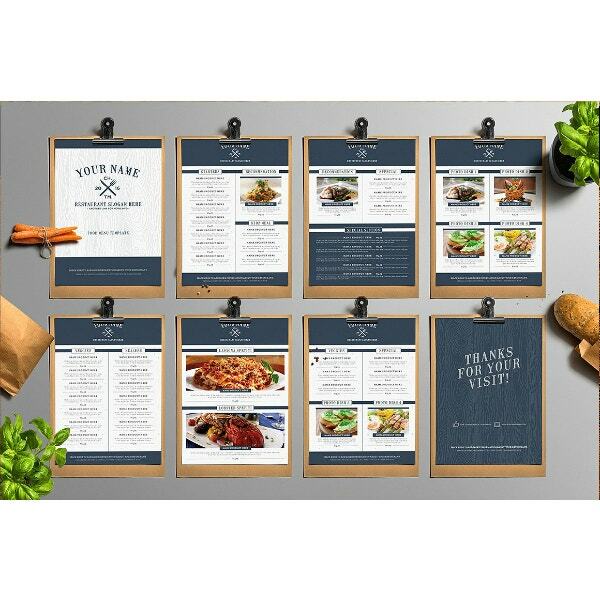 You can start designing on a blank canvass if you want something original, but, if you are in a rush and have inspiration deficiency, you can always choose to purchase and download a menu template. 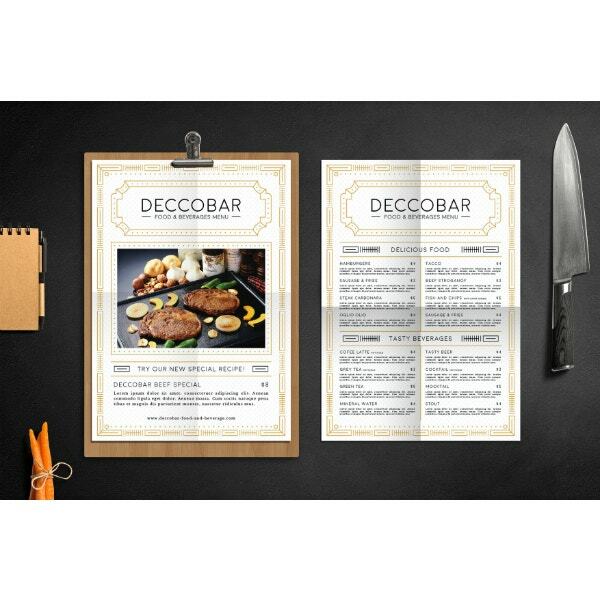 In this article, we offer you a curated list of fancy and creative menu templates that you can use for your restaurant. 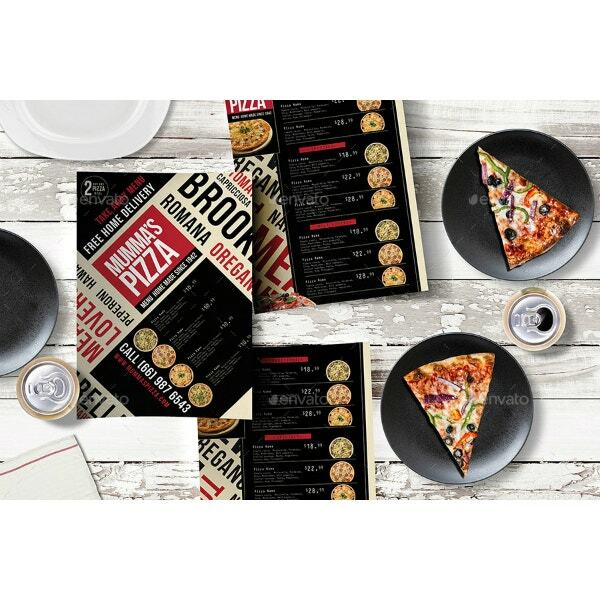 Since these are editable and customizable, you can apply your personal touch to make it fit with your restaurant’s theme. So, let’s dive right into the list and let the selection begin! 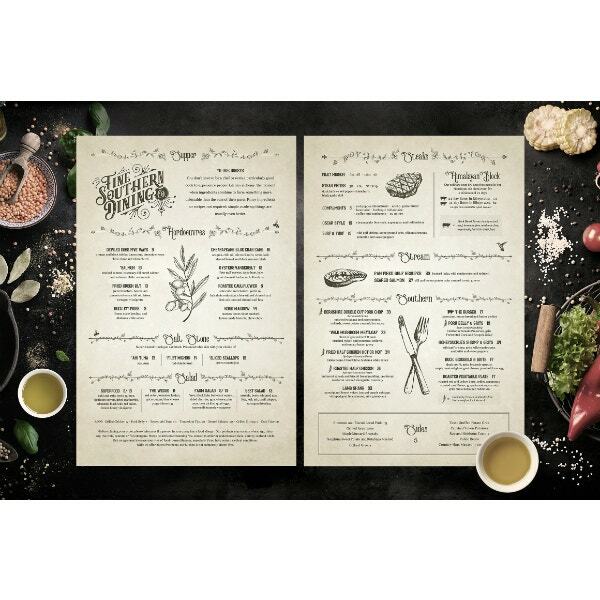 We know your hands can’t stop itching to start designing your menu. But for now, you should put the excitement on hold and let us take first consider some things that will help you have a smooth-sailing designing later on. How will my menu be different from everyone else’s? Take as much time as you can to answer this question because if you can’t, you should stop right here. There is no point in proceeding to the next steps if you can’t decide what will make your food distinct from the others. 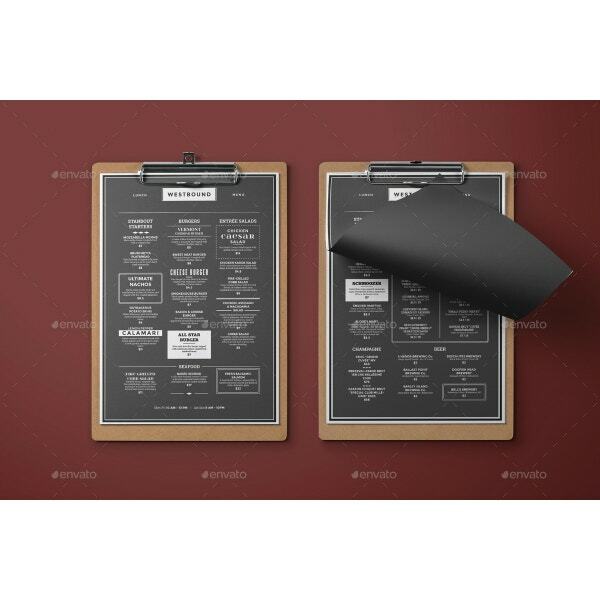 This decision will serve as the backbone for your menu design. What food items are similar to my competitors? The food items on your menu don’t necessarily have to be 100% unique or original. Look at how many fast food chains offer the same items on each of their menus such as burgers and fries. You can have items on your menu similar to the others but you have to add something distinct to your restaurant. This will help customer distinguish your restaurant from those who have similar offers with yours. Having a trademark helps in solidifying your brand identity. Does my menu pricing match my competitors? Pricing is a crucial part in setting your menu. You have to research your competitor’s pricing so you will be able to estimate how much you are going to prices your menu items. For example, if your initial pricing for a burger is $12 while the competitor’s offer is $8, it is obvious which burger the customers will be going for. But, of course, the quality isn’t accounted here. Still, matching your prices with that of the competitors helps attract more customers. 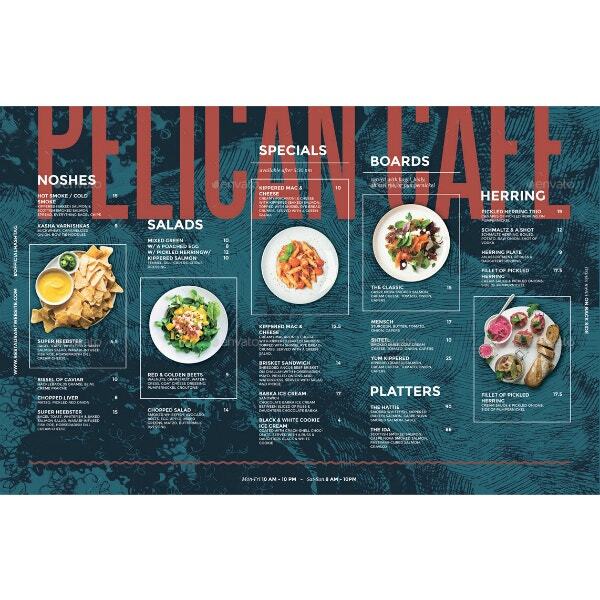 A menu is an important tool for your restaurant. Thus, designing it should be made with careful considerations. It doesn’t need to be perfect, but it has to be effective in driving the customers into ordering. 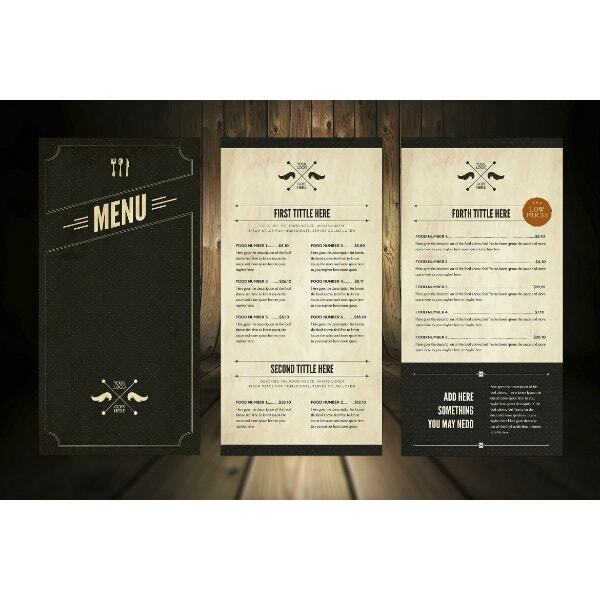 To know more about creating an effective menu, read the things you have to consider below. 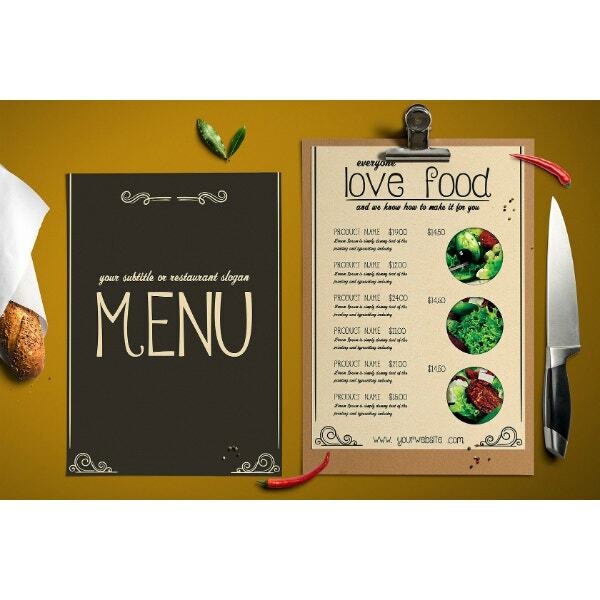 The color scheme of the menu should match or at least complement the theme of your restaurant. For example, if your theme celebrates the aesthetics of a ’50s diner, then the menu should also have colors that represent the ’50s design. The font should have to match as well, just make sure that it’s not too small that it makes it difficult to read. Look for examples online to gain inspiration for the look that you desire. You can also experiment and play with the colors and font if you want to come up with an original design. 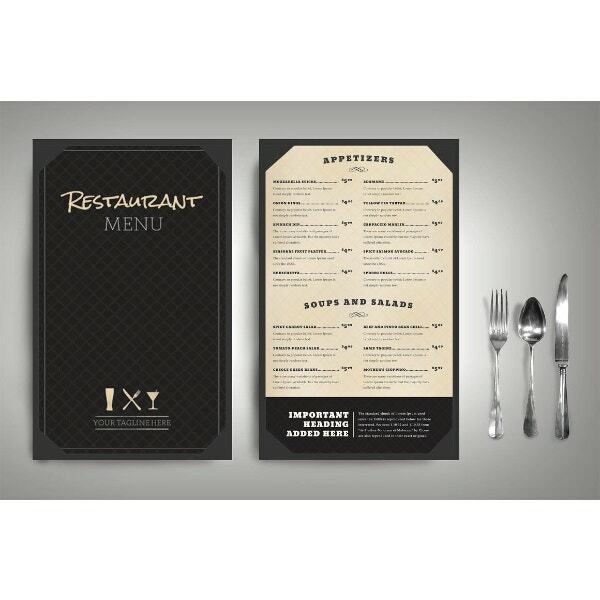 Doing so will help you achieve a distinct look for your menu. 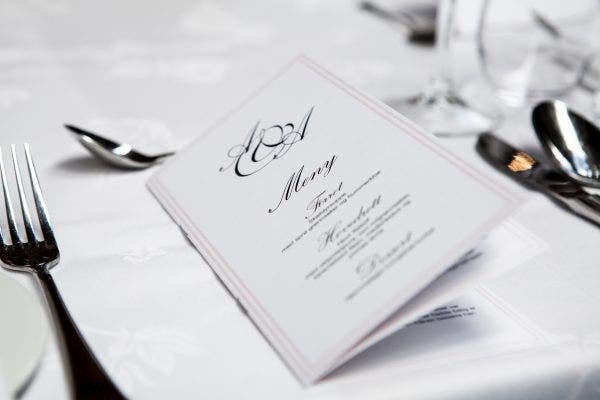 As you may have observed, menus from any restaurant, diner, or eatery have sections that are arranged sequentially: appetizers, soups and salad, main entrees, desserts, and beverages. It is critical to do it in this manner and highlight them by either bold headings, boxes, or borders. This helps the customers figure out which food is for which part of the meal course. It is also easier for them to navigate and choose their orders. You can also highlight dishes with any kind of insignias, such as a star, icon, or an indication that it’s a top choice or a chef’s favorite. This draws the customers’ attention to the popular and special dishes. 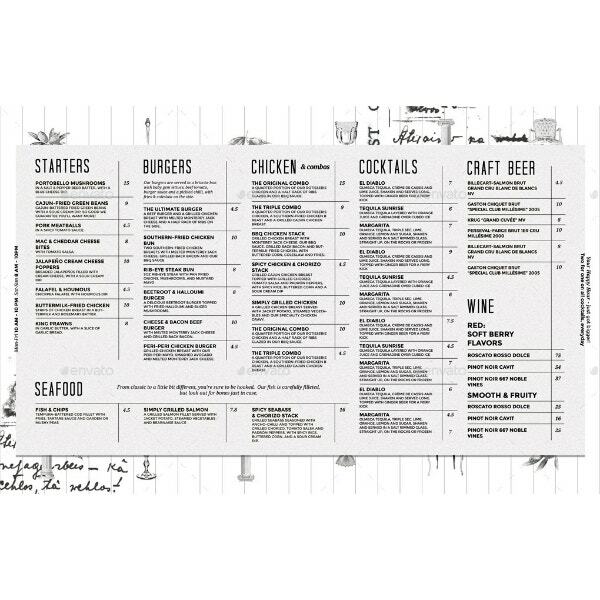 The layout of the menu usually has one or two columns at maximum because having more than that would make your menu look like newspaper classifieds. For your daily specials, you can easily change it with a clear menu insert since it changes periodically. Avoid using too many pictures as it will only make the menu look cluttered. Also, refrain from using a distracting background or one that hinders the customers to properly read the text. This is a perfect example of a bad design, and you will definitely be loaded with complaints if you do so. Also, don’t use computer clipart. Just don’t. Your menu will look like it’s made by an amateur, and you don’t want to have that kind of impression. Your menu description should make any customer drool. Explain what’s in the dish and use ethnic names if they fit to add an authentic flair to it. You can also incorporate a brief history of the dish, especially if its origins are from a foreign country. This will add fire to the customers’ curiosity and it may even affect their decision in ordering. One caveat here: don’t make it too long. Not only will it take up too much space in the layout but it will also bore the customers. Nobody wants to read an essay in a restaurant. Just give them a brief and fun description enough to convince them to order a certain meal. Have you found the perfect template? 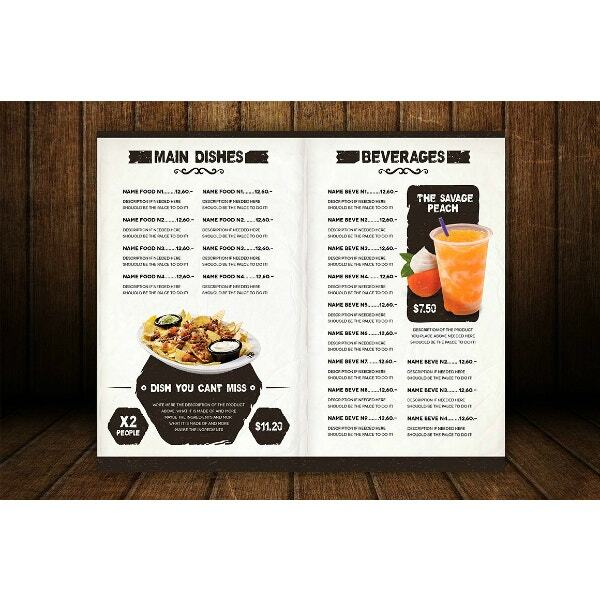 A menu should not only have a stunning design but a comprehensive information as well. This perfect pair will help the customers make an informed decision on what to order. Our list provides a wide variety of designs, so choose the template that’s appropriate for your theme. Also, you shouldn’t forget to customize it. 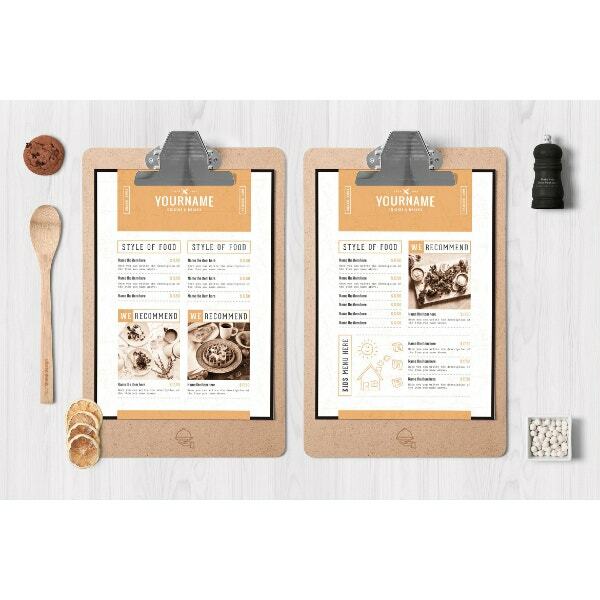 Not only will it make the menu distinct but it will also forge your brand identity. People will remember your menu if it’s different enough from the rest. It will be your trademark, much more if the dishes are as exceptionally good. 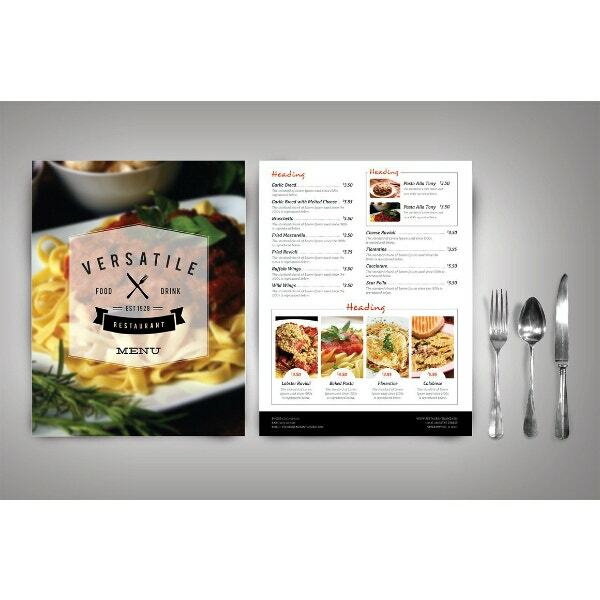 We hope we have helped you choose the right design for your menu. Should you want to save this for future reference, click or tap the bookmark button on your browser and name it appropriately or just leave the name as it is. 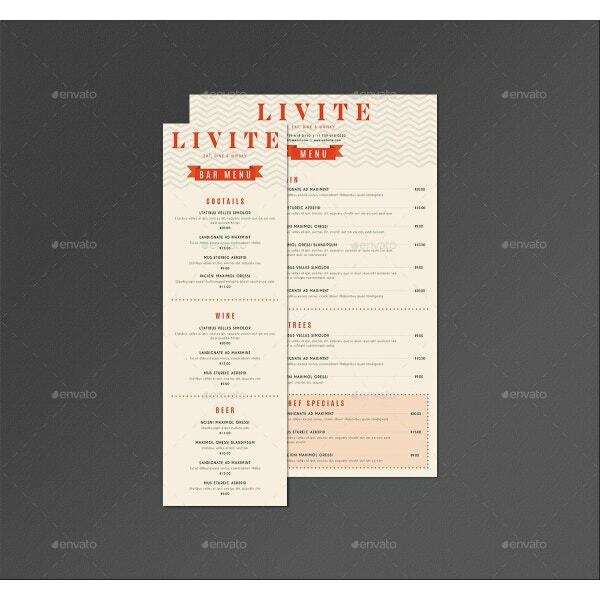 Share this with your family and friends so they may know about these gorgeous and creative fancy menu templates. We wish you all the best in your endeavors and for your business’ success!